A Cyber Security course will be offered to area businesses and individuals during November. 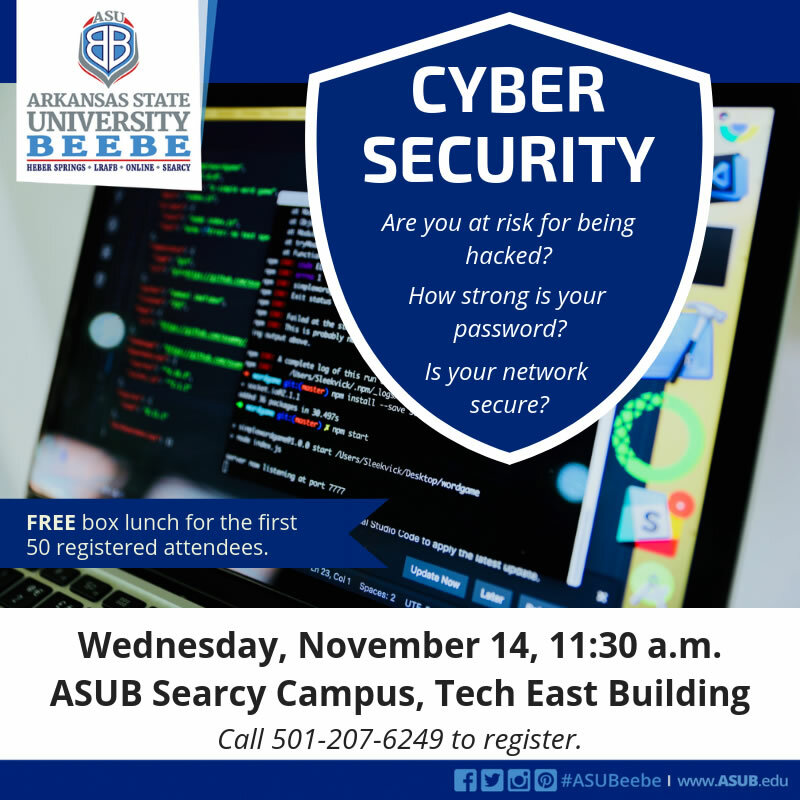 The Workforce and Community Development at Arkansas State University-Beebe will be offering a free lunch and learn class on Cyber Security to area businesses on Wednesday, Nov. 14, at 11:30 a.m. in the Technology East Building on the ASU-Beebe Searcy campus. Many businesses experience network phishing or virus attacks on a daily basis and are unaware of the Cyber Security risks every time their employees login. This class will present the risk factors for being hacked, discuss password strength, and learn how to develop a secure company network. In addition, there will be free box lunches available to the first 50 registered attendees. To register, call the ASU-Beebe Workforce and Community Development Office at (501) 207-6249.